As I have had an addition to the family, it's been a while since the last posting - caring for a newborn takes a surprising amount of time... but I am digressing. 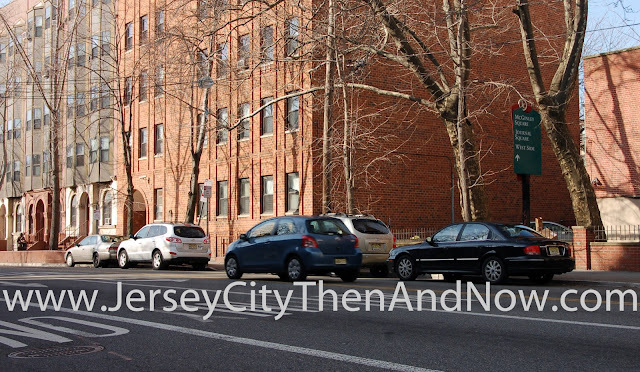 Similar to this previous post, the pictures show another example of where the City of Jersey City acquired several buildings and replaced and/or converted them to affordable housing. 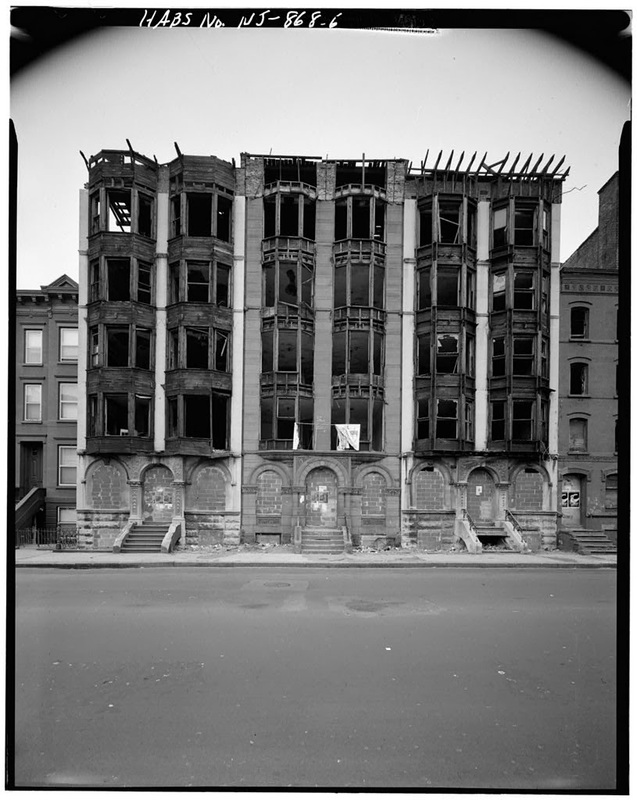 The three buildings to the left in the picture, with a total of 5 bay windows, are still standing but without the original details, while the three to the right were demolished and replaced with new structures. Presumably in order to make the floor levels even to allow for apartments and internal hallways to span across the different structures. 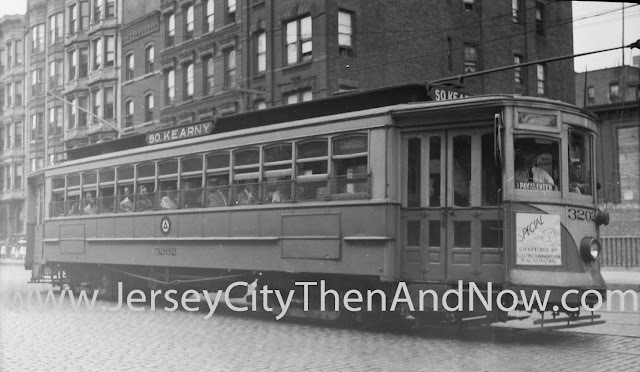 The photos below show the buildings behind the trolley in the old photo before they were demolished in the early 1980s. 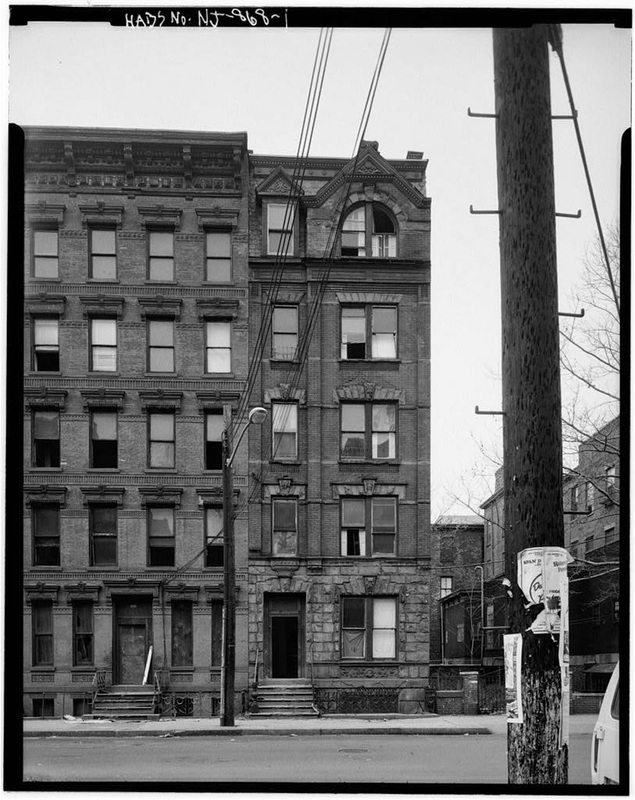 The building that can only be hinted at the far right side of the then / now pictures is one of the older buildings in this section of downtown - it stand on the corner of Jersey Ave and Montgomery St, is known as the Jewell House and is a former Governor's mansion. 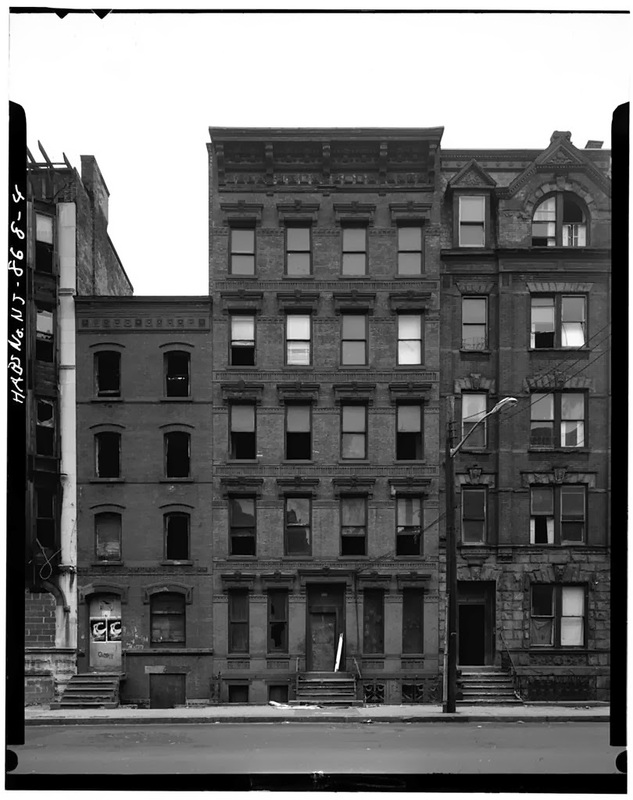 The Public Library has an early photo showing the mansion before any of the surrounding buildings were constructed. In that image the building is surrounded by fields, vegetable lots and green houses. The amazing image has been published on on page 61 in this book : Images of America, Jersey City by Patrick Shalhoub. The then and now photos are from my private collection. The three black and white photos immediately above are from library of congress, here, here and here.